I’ve been thinking about law and justice. I think we all instinctively know that we need good laws and (consequently) good lawyers [no lawyer jokes please…]. And the field of pharmacy, arguably the healthcare profession with more legal regulations than any other, is no exception. It was therefore quite an honor to have the opportunity to chat with a pharmacist-lawyer and friend Ned Milenkovich, about his career path from pharmacy, to law. 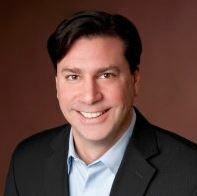 Ned currently resides in Chicago, IL and is a partner at McDonald Hopkins LLC. Ned is also the owner of the LinkedIn Group: Rx Village. 1) Ned, thank you so much for taking the time to answer a few questions about your career and your work as a pharmacist and lawyer. Could you tell us, to begin with, a little about how your career as a pharmacist began? I had always focused on both the healthcare profession and separately the legal profession, as a “calling” in my life. I simply did not know which path I would eventually take, early on. As it turns out, I embraced both. About the time I was entering undergraduate studies, I decided to pursue a pharmacy degree since it was a sound healthcare profession and could be a very good predicate degree for further education. Upon graduation from pharmacy school at Ohio State, I returned to my hometown of Cleveland, Ohio and practiced as a hospital pharmacist at the local county hospital, before deciding to move on to my Doctor of Pharmacy (PharmD) degree, at the University of Illinois at Chicago. 2) What did your pharmacy career look like and what did you like most about it? I was mainly an inpatient hospital pharmacist throughout my pharmacy career, but also had ample opportunities to practice pharmacy in ambulatory pharmacies throughout the hospital systems in which I worked. Firstly, I lived and worked in Cleveland, Ohio, but then I moved to Chicago, Illinois in 1996 to pursue the PharmD. I continue to reside in Chicago to this day, but at the time I worked at Rush-Presbyterian St. Luke’s Medical Center (now renamed Rush University Medical Center). 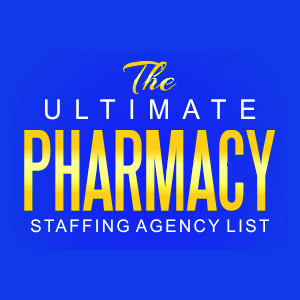 At Rush, I worked in pediatric pharmacy and also in a skilled nursing facility pharmacy, located within the hospital. I also worked in the central fill area as well in the main pharmacy. 3) What lead you to go to law school? I recall early in life wanting to be an attorney. My father is an attorney and so was my grandfather. It surrounded me growing up. It was also something I continued to score high in when taking career affinity tests as a youth. After earning my PharmD, I made the decision to attend law school finally (at The John Marshall Law School in Chicago), rather than pursue any more direct pharmacy training. The goal was to obtain a law degree and then “marry” the law degree with my pharmacy background. Its proved to be a wonderful match. 4) You now work for McDonald Hopkins Law Firm in Chicago. Can you tell us about what you do and what services the firm offers? I currently Chair the Drug & Pharmacy Practice at McDonald Hopkins LLC. With respect to my area of practice, we offer clients a broad range of legal services on a national scale that include business transactions, litigation strategy, defense against government investigations (both federal and state), as well as regulatory compliance advice. Clients come to us from the entire supply chain and we pride ourselves in offering sound counsel, no matter the issues or challenges facing the client. We are a growing general practice law firm with 6 offices (Chicago, Cleveland, Columbus, Detroit, Miami and West Palm Beach) and just opened a subsidiary lobby firm in Washington DC, run by Former Ohio Congressman Steve La Tourette. We are comprised of roughly 150 attorneys overall. 5) What type of clients do you serve? Do you ever represent pharmacists in legal matters or offer legal counsel to pharmacists? Clients come to me and my team in all shapes and sizes. I serve large publicly traded company clients as well as closely-held entities or varying sizes. I also serve individual pharmacists who have challenges or opportunities they wish to overcome. All of our clients are treated with the same degree of care and understanding, no matter their size and complexity. 6) I hear you are also a regular contributor to Drug Topics. Can you tell us about that column and where my readers can find it? I am blessed to be a part of Drug Topics. I have a regular monthly Legal/Regulatory column in this widely published pharmac ist newsmagazine. Topics are varied and typically are addressing or reflecting on issues that impact pharmacy and the profession in one form or another. Back issues can be found on the Drug Topics web-site. 7) This may be unrelated to your practice specifically, but do you have any opinion on pharmacists carrying additional liability insurance in case they find themselves being sued? Additional liability insurance is a very wise investment for any practicing pharmacist. At a minimum, a pharmacist should confirm with their employer that there is adequate coverage if they do not carry their own insurance. The cost of supplemental insurance is de minimus for the peace of mind it offers in return. If a pharmacist is going to obtain their own additional insurance coverage, they should make sure they understand exactly what the policy covers and what is excluded. Sometimes, an additional rider can be added for things that are not covered on the base policy. At a minimum, they should review what is before them. It makes little sense to buy additional insurance without fully understanding what the investment is protecting against. If a pharmacist is unsure, they should turn to someone who understands coverage before purchasing. 8) Could you tell us a little about your work on the Board of Pharmacy? What are some of the most urgent matters before the board these days? It is an honor to serve on the Illinois Board of Pharmacy in my capacity as a pharmacist. I have just begun my second term and was appointed by two different Governors. It is the place where law meets pharmacy for the benefit of the general public. The profession and the law are continually changing and as the profession changes, it shapes the laws. 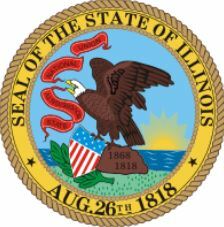 In my opinion, there are several present and forthcoming issues that Boards will grapple with including: (i) controlled substance diversion issues, (ii) sterile compounding issues (particularly in the wake of the NECC tragedy), (iii) technology and the delivery of patient care through automated dispensing units, and (iv) drug pedigree issues. Some of these issues may be federalized eventually, but in any event we can see them touching Boards as well. There are, of course, a myriad of other issues that are addressed of a more routine nature. 9) Pharmacists today, especially those in community pharmacy practice, often find themselves under significant pressures to fill more prescriptions with less help. Do you have any advice for pharmacists who believe their work environment is becoming unsafe for patients? This is a recurring topic that pharmacists are concerned about. On the one hand, the pharmacist is a professional and has a right to control the pharmacy practice environment and is going to be held responsible for any errors and omissions that may arise out of a workplace incident due to staffing pressures. On the other hand, an employer has concerns over delivering patient care in a meaningful way, while providing them in a time sensitive manner. Ultimately, nobody wins if a patient is harmed. Ironically, use of automation continues to alleviate some of the pressures but there are still demands that continue to arise. A dialogue between the pharmacist and employer should be undertaken to address concerns and determine their validity. In some cases, the employer may not be aware of that the pressures are too great and that workflow adjustments may need to be made. In other cases, it may be the case that the pharmacist needs to adjust by increasing output, or if not possible, seek an alternative setting where their tolerance for workflow pressures is more in line with expectations. I believe that all pharmacists have the ability to maximize their contribution as healthcare professionals when matched up to the environment best suited for them. 10) I discovered that Ned and I are both fans of Stephen King’s books. Ned, can I ask which one of his books is your personal favorite? That is a tough question. I am torn between “The Shining” and “Salem’s Lot.” Both are earlier books written by King. Either book will leave a reader shivering with fright and suspense. For those that are diehard vampire fans, Salem’s Lot is quite possibly the best vampire thriller I have ever read – hands down. 11) Ned, thank you so much for taking the time to answer these questions. If a reader here at The Honest Apothecary wants to get a hold of you or the firm to inquire about your services, how should they do so? I want to personally thank Ned for taking the time to speak with us here at The Honest Apothecary and I would certainly encourage any readers with pharmacy-law concerns to reach out to Ned and his practice. © Jason Poquette and The Honest Apothecary. Unauthorized use and/or duplication of this material without express and written permission from this blog’s author and/or owner is strictly prohibited. Excerpts and links may be used, provided that full and clear credit is given to Jason Poquette and The Honest Apothecary with appropriate and specific direction to the original content.